A variety of sweet red and bright virginias, fragrant orientals, a small measure of rich Cyprus Latakia, and a pinch of L.A. Poche’s brilliant Acadian perique. 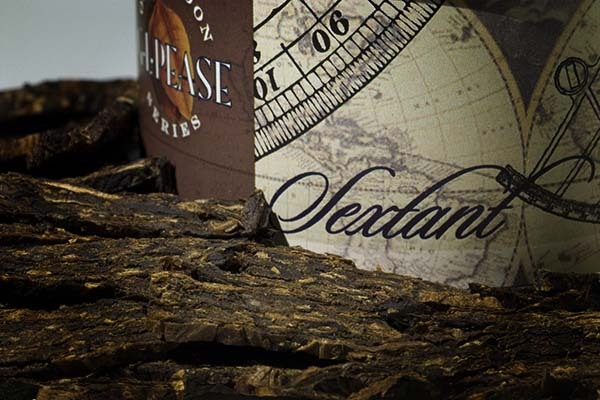 A rich Latakia mixture, structured with layers of mature red virginias and spiced with orientals. It's pressed and aged in cakes, then cut into one ounce bars of about 1" x 1" x 2". The result is deep, satisfying, dynamic, and very slow-burning. Be careful not to pack the pipe too tightly, or it'll be hard to keep lit and will last forever. 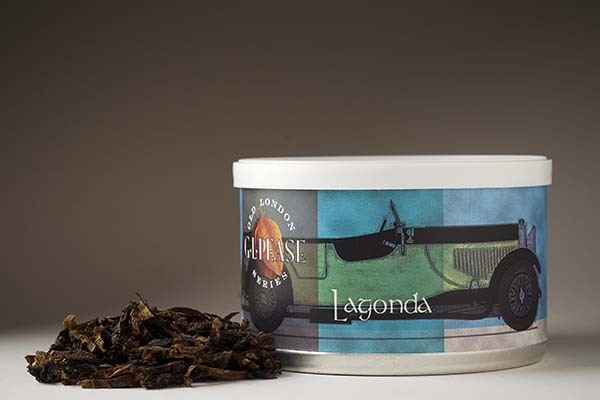 Lagonda, a rich, luxurious old style mixture, will be the newest entry in the Old London Series, and though it shares some characteristics with its siblings, it's nevertheless all new. Balanced, poised & sophisticated. 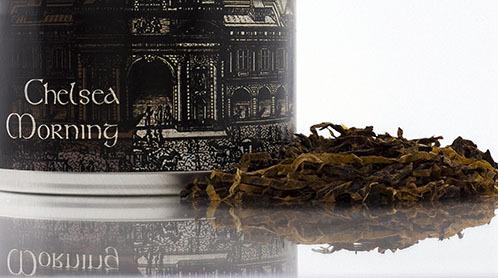 Cyprus Latakia is layered with fine virginia tobaccos and small leaf orientals, then pressed, sliced and tumbled into ribbons. 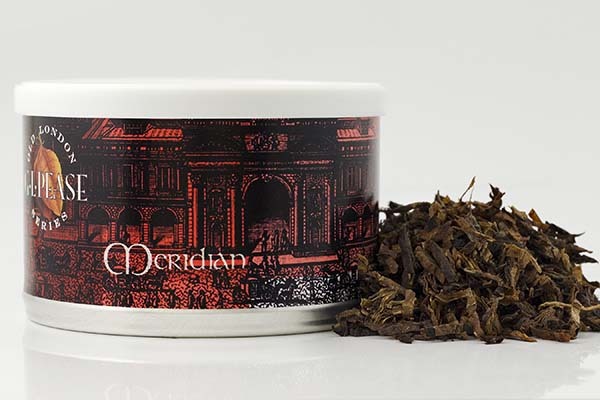 More savory than sweet, with classic structure, medium body, and captivating complexity, Meridian is the perfect companion for a mid-day stroll or with the afternoon tea. A base of red virginias, sweetened with high-sugar orange and yellow leaf, given body and depth with a bit of beautiful dark-fired, then softened with a little of the same dark rum that makes Sextant so engaging. The result is pressed, aged and sliced, and served up in flakes. It's not as potent as JackKnife, but it's certainly fuller than Union Square, and the rum adds a very distinctive element. Rich, deep, contemplative. Ripe red virginias, fine orientals, smoky Cyprus latakia, and a pinch of Acadian perique are pressed and matured in cakes before being sliced. The sophisticated flavors and exotic aroma provide a wonderful backdrop for quiet moments of reflection, a good book, and if you are so inclined, perhaps a wee dram. 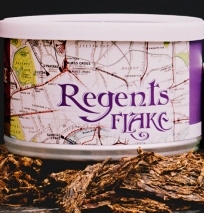 Regents Flake starts as a base of red and bright virginia leaf, seasoned with generous amounts of fine oriental tobaccos. A very small percentage of perique is added to enhance the fruitiness of the virginias, as well as to work its magic amplifying some of the lovely exotic, almost floral qualities of the orientals. Pressing and aging in cakes brings out the best of the leaf, after which the blocks are cut and sliced into flakes. The aroma is rich, malty, fruity and just a little earthy. In the bowl, beautiful virginia flavors, subtly sweet, are enhanced by the spice and sweet/tart character of the orientals, and the room note is wonderful. A classic Mixture harmoniously maried to a Navy Flake. 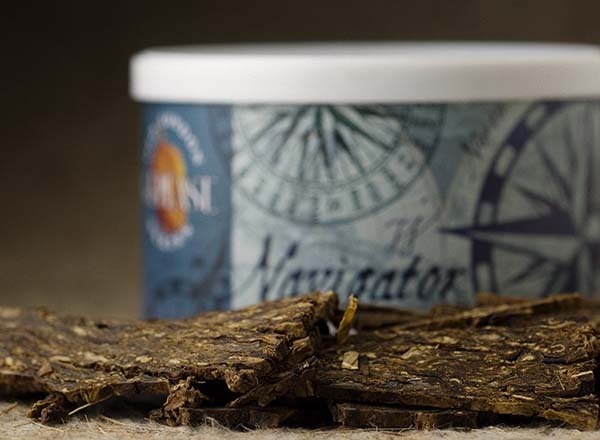 Ripe Virginia tobaccos are first blended with Cypriot Latakia, fine Orientals, and a touch of dark-fired Kentucky leaf, then infused with a hint of dark rum before being gently pressed, matured, and sliced. 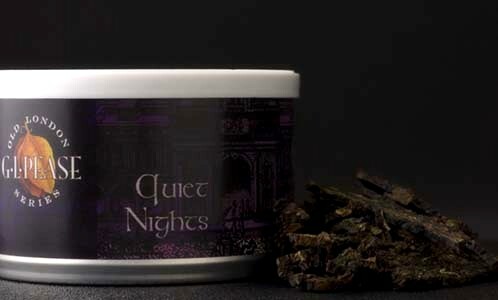 The flavour is rich, bold and satisfying; the aroma an enchanting interweaving of traditions. 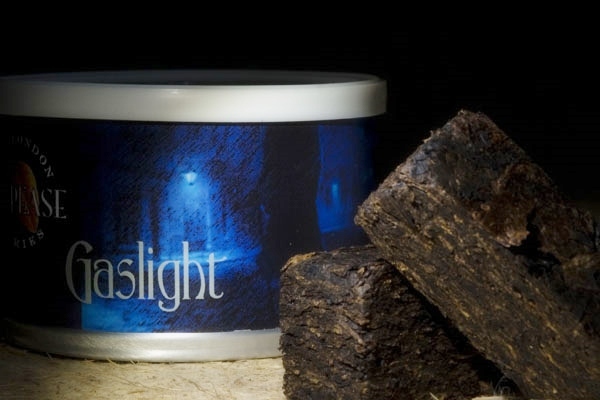 A rich flake comprising a base of beautiful red virginias, a generous portion of perique, and just a bit of dark-fired leaf to add body and dimension.